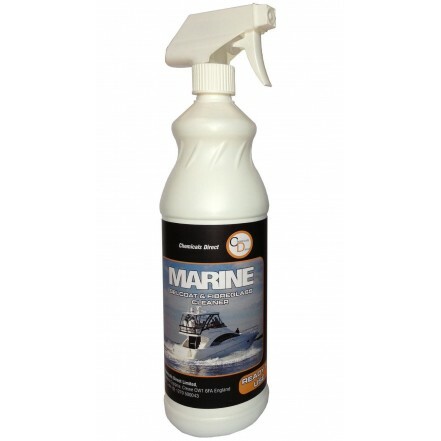 Marine gelcoat and fibreglass cleaner is a ready to use, multipurpose, biodegradable boat and yacht cleaning solution. It removes grease and grime, oil, bird droppings, exhaust smoke stains, dirt and algae. It is ideal for use in many areas, such as decks, hulls, engine rooms and is safe to use on most surfaces including, fibreglass, paint work, stainless steel, plastic, vinyl, and glass. It has no abrasive properties, is non corrosive and non flammable. An ideal solution for all marine cleaning needs.